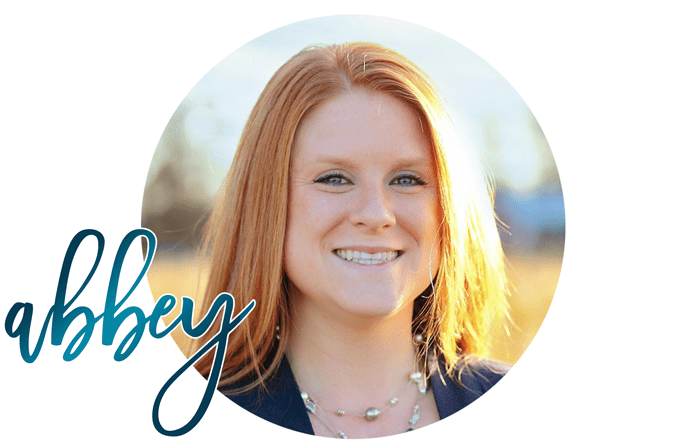 During the week I need easy dinner ideas that can feed my family of four in no time at all. 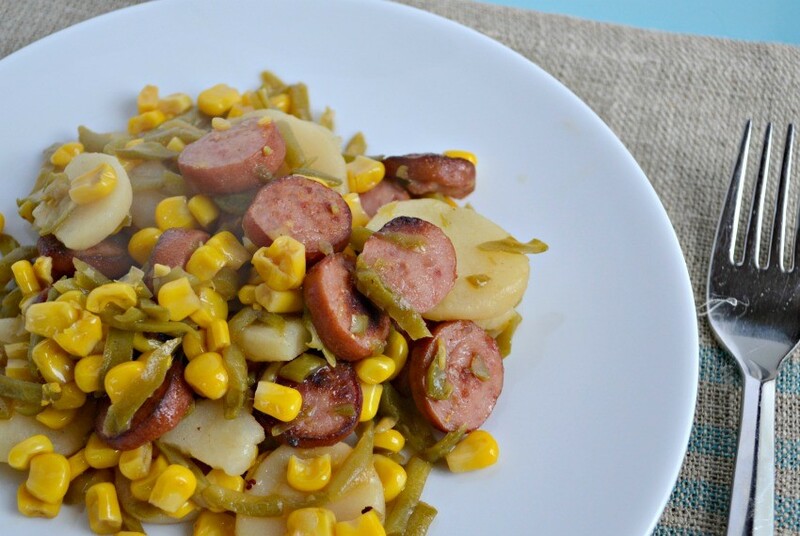 One of my go to family dinner ideas is this One Pot Kielbasa and Veggies dinner. 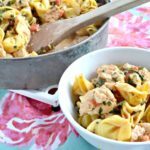 It literally is the simplest meal and you can serve it with a salad or dinner rolls and have everyone fed within a matter of minutes. 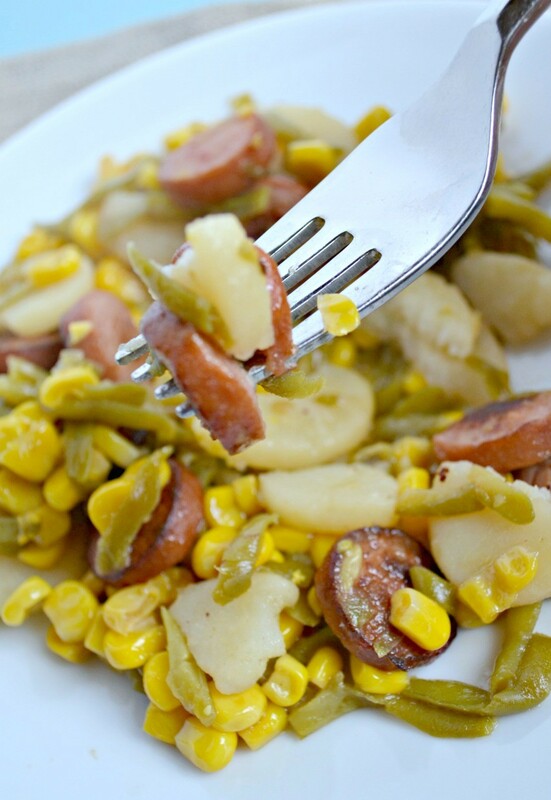 This is a quick and easy kielbasa recipe that is a perfect dinner idea for kids, as well! 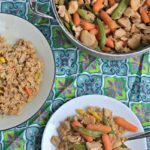 My kids LOVE it when we make this dinner! 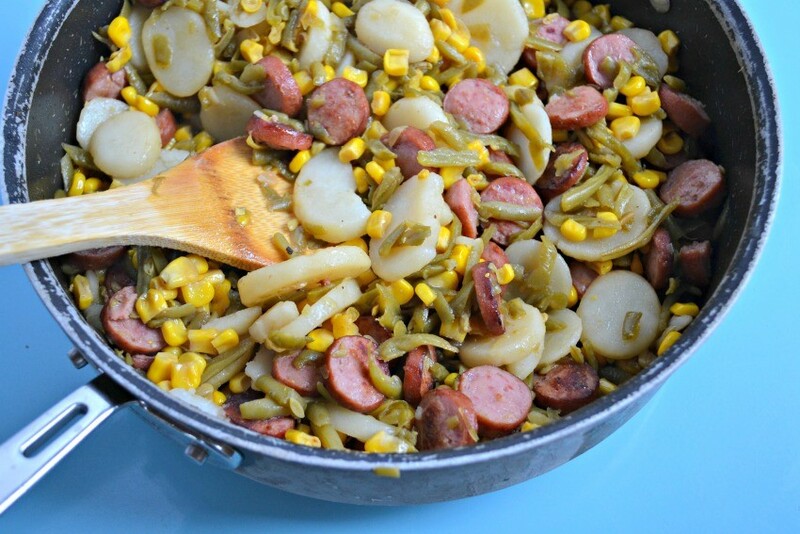 In a large pan, slice up kielbasa and cook until browned on all sides. Add in your veggies and a little olive oil or butter. Cook on medium for 10-15 minutes stirring every few minutes. Season with salt and pepper and/or season salt, if desired. Once all veggies and kielbasa are warmed through and sufficiently browned, serve. 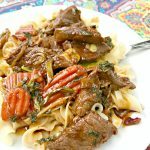 The nice thing about this recipe is that you can make it any way you want…you really can’t go wrong. I like my kielbasa nice and browned on all sides, so I tend to cook it a little longer, then add my veggies. The whole meal takes about 30 minutes to make. You can also add in other veggies that you like…toss in some carrots or cauliflower, have fun with it. I like to add season salt and sometimes even some other seasonings to make it really unique. You definitely want to add either butter or olive oil to the pan to keep the veggies from sticking. Remember, dinner doesn’t always have to be complicated to be good. 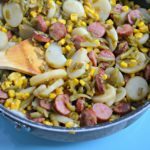 I grew up on easy midwest meals like this and this 4 ingredient recipe never fails me as an easy family dinner idea. 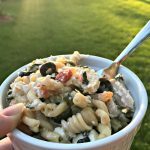 Hope you enjoyed this easy dinner idea…let me know in the comments if you have any questions!